What do you do with your Sundays? Sleep? Read? Meditate? Or lay in bed all day? Clear your schedule ladies and gentlemen, for something better is here. 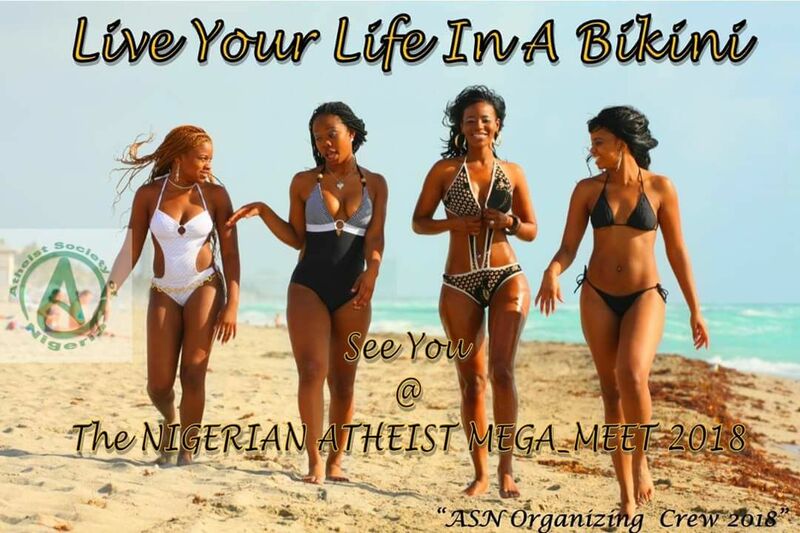 The premier Nigerian atheist mega meet, a fun filled day,... BBQ, Bits & Bites, Beach Activities, DJ, Bikinis & Bottles and Lounging all through. On Sunday April 1st 2018 at Rozmajor hotel, First Bank Junction, Ibeshe via Ijegun-Egba jetty, Satellite town, Lagos. Date: Sunday April 1st 2018. Location: Rozmajor hotel, First Bank Junction, Ibeshe via Ijegun-Egba jetty, Satellite town, Lagos.